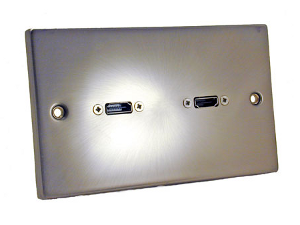 High Definition Multimedia Interface HDMI wall plate features a single HDMI socket on the front of the plate which ends with a PCB mounted rear socket which is conveniently placed so that a HDMI leads can be passed through one of the side knock-outs in a standard UK steel rear pattress. In some case some modification of the pattress will be required. This plate can also be used with plastic plasterboard pattress's again with some modifiction. 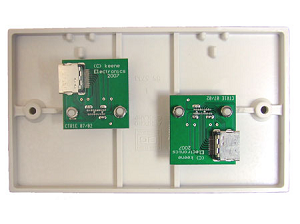 HDMI Wall Plates are a great addition to any audio visual installation and provide a professional point of connection between devices such as your TV, SKY HD Box, bluray player or games consoles.